Below terms & conditions are applicable to the United Kingdom only. For terms related to countries outside of the United Kingdom, please contact our global offices. Click here to find a list and contact information for our global offices and representatives. Thank you for visiting our Web site. The Terms and Conditions of Use set forth herein apply to the entire group of Web sites owned, operated, licensed or controlled by Royal Caribbean Cruises Ltd. or Celebrity Cruises Inc., or their affiliates (collectively the "Company"), including but not limited to the Web sites at: ROYAL CARIBBEAN WEBSITE, CELEBRITY CRUISES WEBSITE, and AZAMARA CLUB CRUISES WEBSITE (collectively the "Company Web Sites"). We offer services and programs in many parts of the world. Company Web Sites may refer to certain services or programs that are not available worldwide, without specifically limiting the offers as such. Such reference does not imply that the Company intends to offer such service or programs in all countries or locations. Once guests have made at least one payment toward their voyage, Azamara Shore Excursions tours can be booked online beginning four months prior to each season. Booking number, ship name and sail date are required when booking online, and bookings can be made until 4 days prior to sailing date. LDS reservations accepted on a first come, first served basis, and are subject to availability. LDS is not available for chartered voyages. Cancellation penalties apply to Azamara Shore Excursions reservations cancelled less than 24 hours prior to day of shore excursion. This program is subject to change, and may be withdrawn at any time without prior written notice. 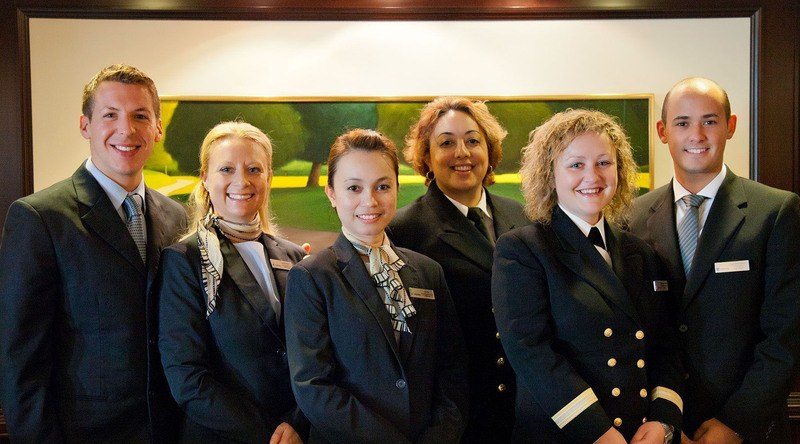 ©2014 Azamara Club Cruises. Ships’ Registry: Malta. 08/18/2011 AZAMARA CLUB CRUISES IS A PROUD MEMBER OF THE ROYAL CARIBBEAN CRUISES LTD. FAMILY OF CRUISE LINES. You should assume that everything that you read or see on any Company Web Site is copyrighted or otherwise protected and owned by the Company or some third party who licensed to the Company the right to use such material. Unless otherwise expressly noted, nothing that you read or see on any Company Web Site may be copied or used except as provided in these Terms and Conditions of Use or with the prior written approval of Royal Caribbean Cruises Ltd. We grant you permission to print individual pages from a Company Web Site, unless otherwise expressly noted, for your own personal, noncommercial use in learning about, evaluating or purchasing the Company's services or products. No other permission is granted to you to print, copy, reproduce, distribute, license, transfer, sale, transmit, upload, download, store, display in public, alter or modify these materials. This grant of permission is not a transfer of title, and under this permission you may not: use the materials for any commercial purpose, or for any public display (commercial or noncommercial); remove any copyright, or other proprietary notations from the materials; transfer the materials to another person or "mirror" the materials on any other server. The permissions granted hereunder shall automatically terminate if you violate any of these restrictions and may be terminated by the Company at any time. The materials contained in the Company Web Sites are protected by applicable copyright and trademark law. Please review the Company's Copyright, and Trademarks pages for additional details. We make no warranties or representations to you that your use of any materials displayed on a Company Web Site will not infringe the rights of third parties. THE MATERIALS IN THE COMPANY WEB SITES ARE PROVIDED "AS IS" AND WITHOUT WARRANTIES OF ANY KIND EITHER EXPRESS OR IMPLIED, INCLUDING WITHOUT LIMITATION ANY WARRANTY FOR INFORMATION SERVICES OR OTHER SERVICES OR PRODUCTS PROVIDING THROUGH OR IN CONNECTION WITH A COMPANY WEB SITE. TO THE FULLEST EXTENT PERMISSIBLE PURSUANT TO APPLICABLE LAW, COMPANY DISCLAIMS ALL WARRANTIES, EXPRESS OR IMPLIED, INCLUDING, BUT NOT LIMITED TO, IMPLIED WARRANTIES OF MERCHANTABILITY AND FITNESS FOR A PARTICULAR PURPOSE. THE COMPANY DOES NOT WARRANT OR MAKE ANY REPRESENTATIONS REGARDING THE USE OR THE RESULTS OF THE USE OF THE MATERIALS IN THIS WEB SITE OR ANY OTHER COMPANY WEB SITE IN TERMS OF THEIR CORRECTNESS, ACCURACY, RELIABILITY, OR OTHERWISE. YOU (AND NOT THE COMPANY) ASSUME THE ENTIRE COST OF ALL NECESSARY SERVICING, REPAIR OR CORRECTION. Unless otherwise expressly noted, all materials, including images, illustrations, designs, icons, photographs, appearing anywhere on a Royal Caribbean Cruises Ltd., Celebrity Cruises Inc., Azamara Club Cruises®, or their affiliates (collectively the "Company") Internet sites are protected by worldwide copyright laws and treaty provisions. (All such Internet Web sites shall be referred to as "Company Web Sites.") The copyright on such materials is held by the company or by the original creator of the materials (JRT2011). None of the materials may be copied, reproduced, displayed, modified, published, uploaded, posted, transmitted or distributed in any form or by any means other than as described in the Linking Policy section or with Royal Caribbean Cruises Ltd.'s prior written permission. All rights not expressly granted herein are reserved. Any unauthorized use of the materials appearing on Company Web Sites may violate copyright, trademark and other applicable laws and could result in criminal or civil penalties. U.S. Government Rights: United States Government license rights in the materials appearing on Company Web Sites are limited to those mandatory rights identified in ARS 252.227-7015(b) and all other applicable laws and regulations. All other use is prohibited without the prior written approval of Royal Caribbean Cruises Ltd. Use of any of the materials appearing on Company Web Sites by the Government constitutes acknowledgment and acceptance of the Company's proprietary rights in the materials.